Online Store Blog Section On AliDropship Sites Got A Fancy Update! 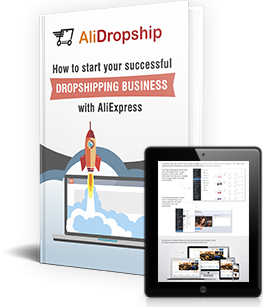 Welcome A Fancy Update Of The Online Store Blog Section On AliDropship Sites! 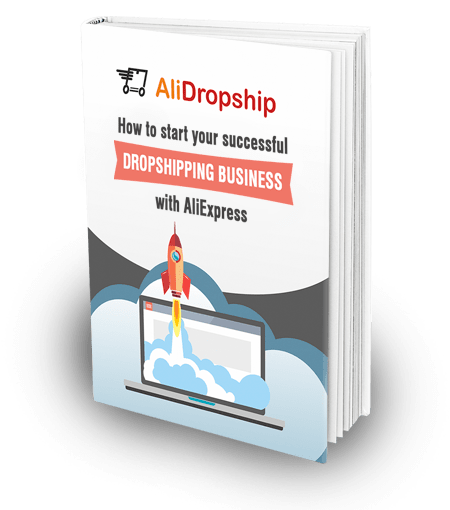 You probably know that every drop shipping store created with the original AliDropship plugin has an in-built blog section. We decided to update it a little – after all, online store blog influences sales, too! We’re making a self-activating update for the in-built blogs across all the themes in our AliDropship plugin. It means that as soon you update your AliDropship plugin to the latest version, your in-store blog will change its appearance and layout automatically! Probably, it will require you to go over the blog settings once again, and check whether everything still looks good. Don’t worry – there won’t be many settings to fix, and the result will be totally worth it! What exactly are we updating in the online store blog section? Right now, you might be wondering: why was it so important for us to rethink and redesign an on-site blog? In other words, your blog appearance and layout can affect multiple aspects of your drop shipping business: branding, customer relations, SEO, Internet marketing, etc. Naturally, we want you to achieve the greatest business results – that’s why we are improving this part of your store! Well, what’s new in the online store blog section? As usual, let’s visually compare the old blog and the new blog. Below these elements, you can finally see the articles’ previews, blog categories, and the most popular articles. For the sake of luring more buyers, there is also an email subscription box, and a catchy promo banner that takes the visitor back to shopping. 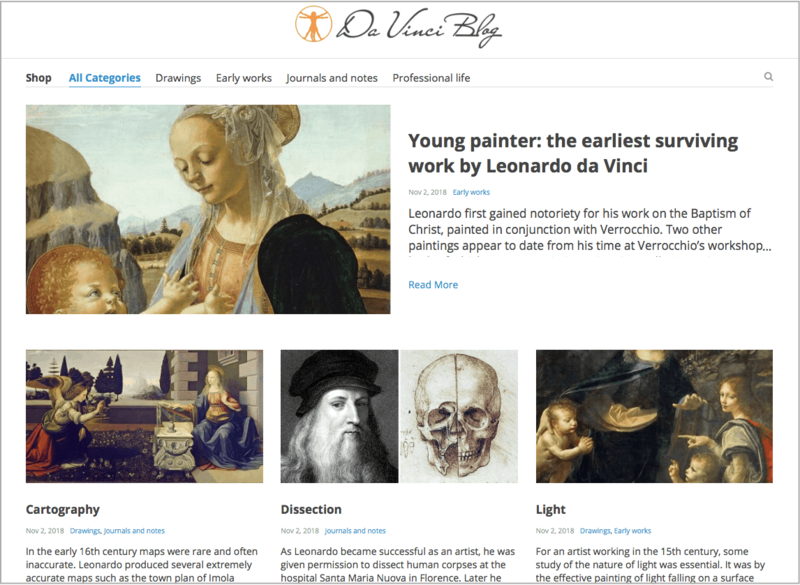 And now, look at the new blog design. The difference is striking, right? Thanks to the smart page layout, the visitor’s attention is fully focused on the articles and your brand identity! Click here to view the new blog version in more detail. How will you benefit from the in-store blog update? Let’s go over the major advantages of the new blog, and learn how and why they will help your business grow. 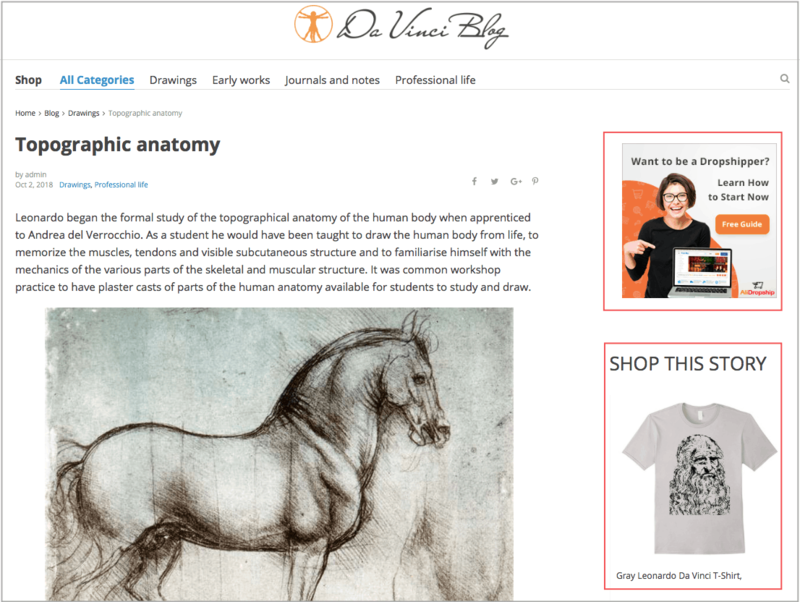 A large store logo on the top of the page once again reminds the readers about your business specifics, and helps them differentiate your site from other blogs. You can even create a special logo version for the blog if you feel like it! There are minimum distracting elements on the page: this section of your website is solely dedicated to texts. 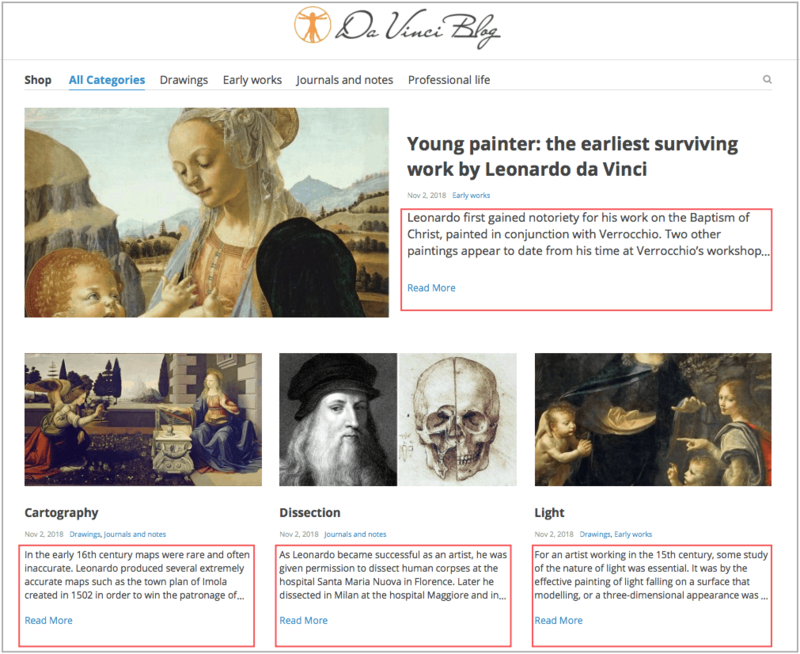 So, the viewer naturally gets concentrated on your writings – say a huge thanks to the text previews! The articles’ previews make it clear for the visitors what your texts are about. The preview shows the first 2-3 sentences of the article – you can set up the preferred length of the preview manually. This way, the page visitors won’t be confused about the contents of your writings. When the website visitors look for some specific information within the blog, they see a drop-down list of the articles that contain a matching word or phrase. Plus, they can read a preview and quickly understand whether this article answers their questions. The new blog supports the owner’s entrepreneurial efforts, and encourages the visitors’ shopping activity. 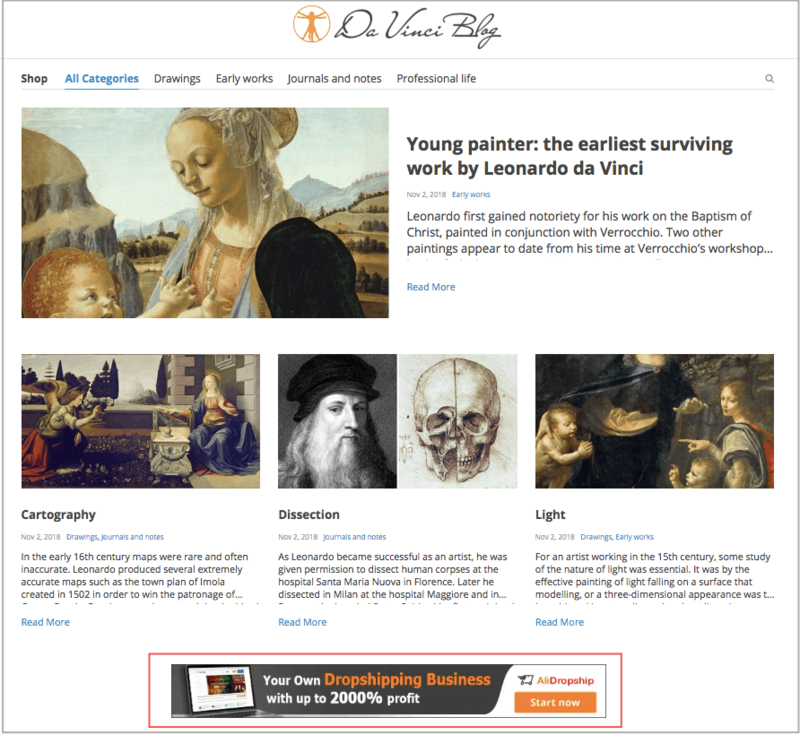 On the main blog page, you can put an advertising banner that promotes your store products or annonce special offers. You can also place additional banner on single product pages – we’ll show the example below. A new, exciting ‘Shop this story’ feature makes it possible for you to attach up to 3 single product banners to any article at your choice. It gives you a brilliant opportunity to guide the readers through your store, and take them right to the product page that is mentioned or discussed in the article. So, the benefits are pretty obvious: through the new blog, you encourage purchasing activity within your store, and, at the same time, support your brand image and establish a reputation of a worthy, valuable, user-friendly shopping (and reading) destination. Okay, so what do you need to do about this update? As it was already mentioned, you don’t need to upgrade the blog manually. The blog will update itself automatically as soon as you download and install the latest AliDropship plugin version. 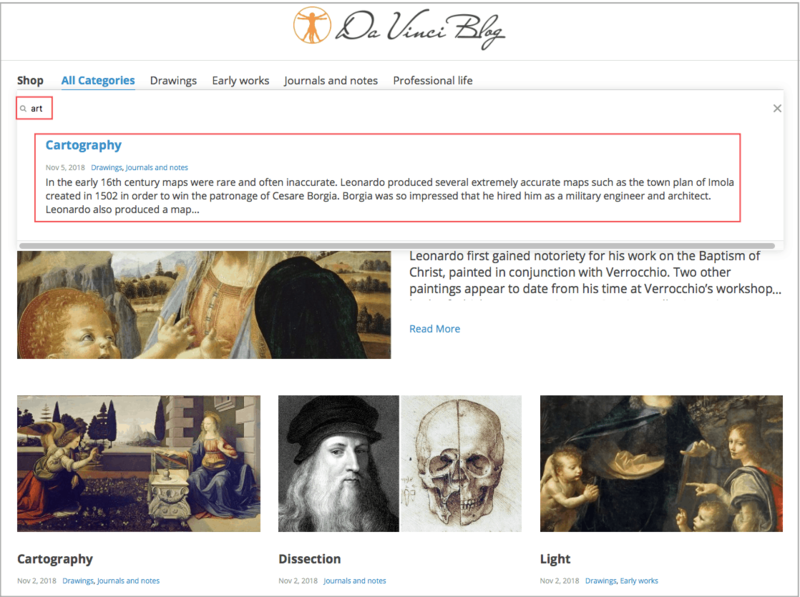 As soon as the blog gets updated, you need to check what it looks like now, and pick new settings for it if necessary. Use this helpful article as your guidance. By the way, the new blog gives you even more room for customization! Add a specially blog-adapted logo if you like, change the color scheme as you wish, integrate a subscription box to collect visitors’ emails if necessary – you’re your own boss! We are sure you’ll love our updated online store blog, and we hope you will use it wisely to take your drop shipping business to a whole new level. Hi, I hope this not applicable for AlidropshipWoo?